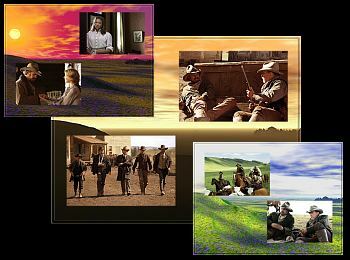 Twelve slides with several images from the movie Open Range Artistically arranged graphics by ART-TLC. You have a choice of two sizes, 1024x768 screen settings, or 800x600. Music is "Desperado" For more movie savers go to JoBlo.com. Download Free Wallpaper from this screensaver! Screensaver copyright, ART-TLC ©.